This recipe was inspired by a prepared and packaged salad we got from Whole Foods. Although theirs was tasty, I had a feeling I could make it even better! 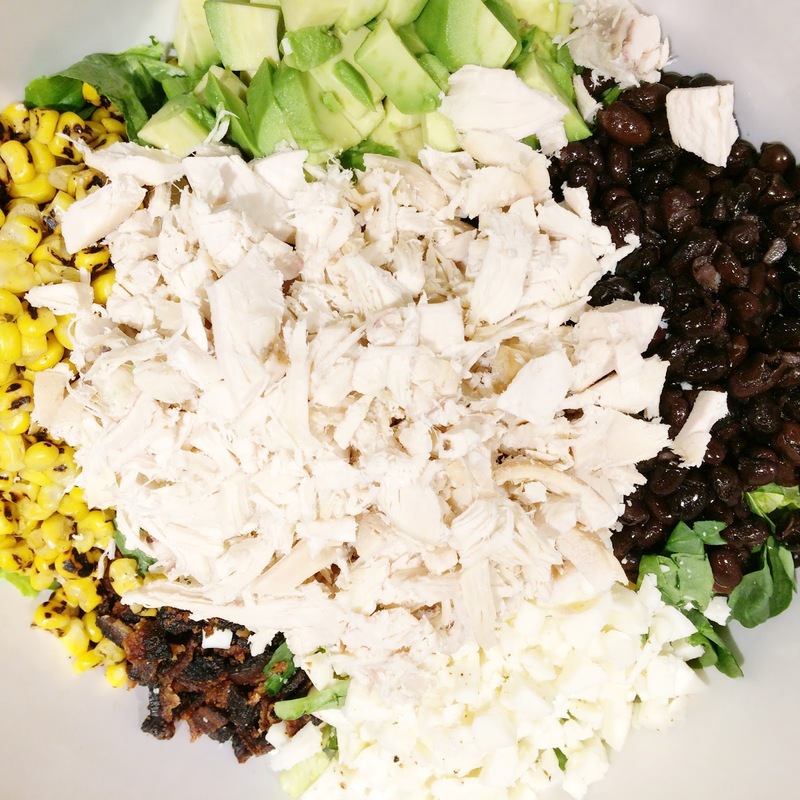 So, I came up with this Mexican Chicken Chopped Salad with Chipolte Yogurt Dressing. For the salad, place all of the chopped ingredients in to a large bowl. For the dressing, place all the ingredients in to a food processor and process until smooth and combined. Drizzle dressing over chopped salad ingredients. Toss salad with tongs until dressing coats salad completely.